All secondary students at BJA have two different kinds of technology credentials* to work with, and many students have a third set of credentials as some teachers implement Google Classroom in their courses. Please understand that the three different sets of credentials are not linked to each other, for the most part. If you change your credentials in one area, that doesn't automatically change them in the other two areas—​you have to do that yourself. *Credentials are how you access a program, i.e., your username and password. You should never use someone else's credentials, and never share your credentials with anyone else except your parents! Before proceeding, please think for a moment about which set of credentials you need help with, and then click on that button below. Every student has a network login and password. These credentials allow you to use school desktop computers and give you access to the Internet and Wi-Fi while on campus. They also get you into your email and into certain online applications on the campus network. NetClassroom is where you can see your grades and look up your upcoming assignments. Your NetClassroom credentials are different from your campus credentials—they are not linked or related in anyway. Some teachers may ask you to use Google Classroom. 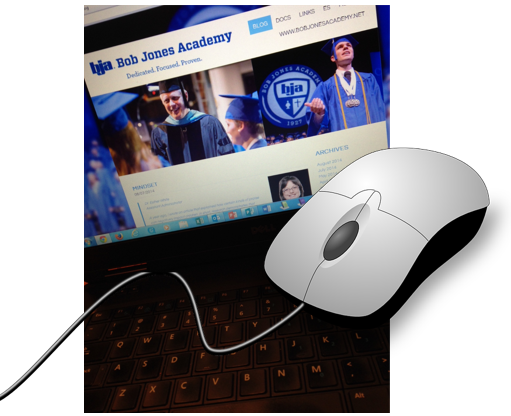 Instead of username@bobjonesacademy.net, your email address for Google Classroom is username@bjalearn.net. Your username is the same as your campus credentials, but your password can be whatever you want it to be!